“Return for I have redeemed you” (Isaiah 44:22) contains an important principle for understanding the concept of redemption. The redeeming act, immanent in God’s merciful character, is only a starting point, not the finishing point, of the history of redemption. We still need to return even after having been redeemed. “O Israel, return unto the Lord your God” (Hosea 14:2). The word “unto” is the Hebrew “ad” (עד) which has the sense of “until,” meaning there is a way to go in order to get there. This applies both to the redeemed individual and the redeemed collective. Followers of Yeshua, while being very much aware of the importance of “the Body of Messiah” as a collective unity, still often see their own personal salvation as the main story. Yet the Prophets’ vision of redemption for the Jewish people is most clearly a collective/ national one (Based on Ezek. 36, and it does not preclude individual salvation). Paul’s burning desire is for all Israel to be saved (Rom. 11:26). This verse is not a burst of wishful thinking, but a confirmation of what he knows: the promise of the restoration of Israel. The Prophets envisioned Israel’s return to God and return to the homeland as parallel events. The physical restoration and creation of the state of Israel was only “the beginning of redemption,” the first necessary step for spiritual rebirth rather than the final goal. Rabbi Avraham Yitzhak Hacohen Kook, one of the most influential spiritual leaders on modern Israeli history, shaped a new national-religious conviction for generations to come, based on the understanding that a genuine spiritual renaissance could only take place in a Jewish homeland and that the initial goal would better be achieved by earthly political means than not at all. This turned the secular efforts of building and planting in the Holy Land into something sacred and, in his eyes, sanctified even the deeds of the “rebellious” socialist pioneers. This fresh and unique acceptance of the “heretical” elements within the Jewish nation reflected the understanding that the redemption of Israel was a progressive process that needs to grow into maturity. The rebirth of Israel in “body and soul” respectively, drawn from the vision of “the valley of the dry bones” (Ezekiel 37) is one of the many expressions of the progressive nature of the redemption of all Israel as one body. 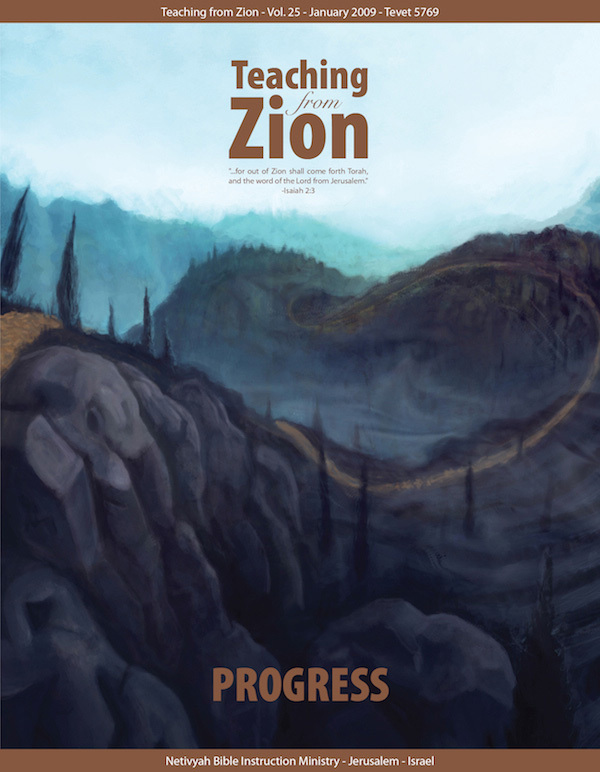 In this issue of TFZ, we will examine the idea of spiritual progress on the personal, national, and historical levels in the light of the understanding that redemption is not a singular event in time, but an ongoing process. Socrates once said, “The unexamined life is not worth living.” Similarly we believe that the unexamined theology is not worth having, which is why we have chosen to examine this sensitive subject. We realize that the issues raised in this magazine may challenge some of our readers’ most deeply cherished beliefs, but we would like to encourage you to honestly examine these issues with an open mind and heart. We wish all of our readers a year of peace, health, and spiritual growth as we travel the road of redemption together.